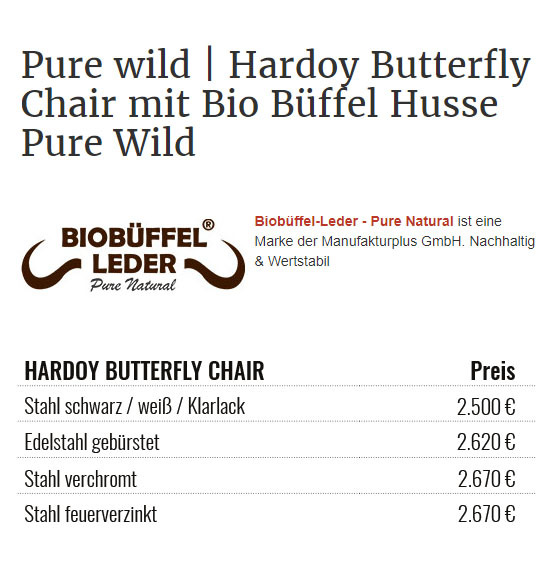 Our Hardoy Butterfly Chair “Pure Wild“ shows the design classic in the purest way possible. 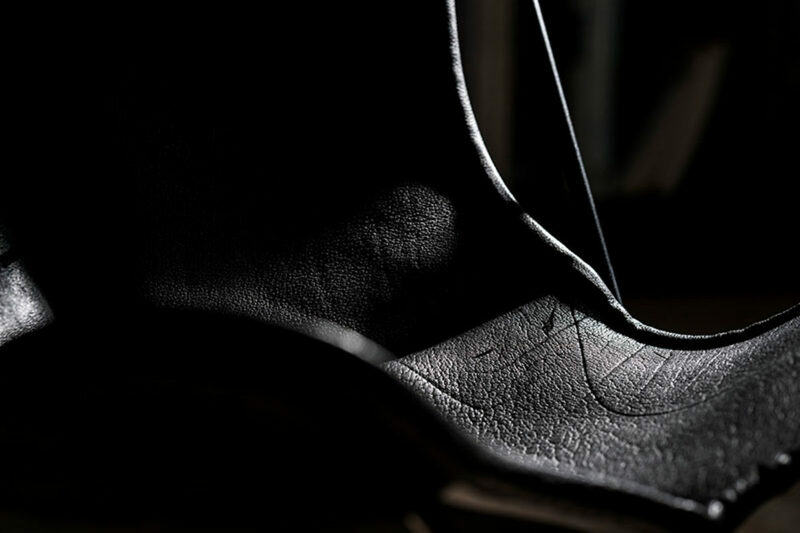 We intentionally choose areas of the organic buffalo leather which accentuate the strong natural characteristics emerging from keeping the animals in free pastures. We do not only mean minor characteristics like mosquito bites, but also marks deriving from natural hierarchic encounters among those impressive gregarious animals. The detailed design and high-quality production of the Pure Wild Hardoy are very convincing, but the fact that there is no waste of material is also an important factor. 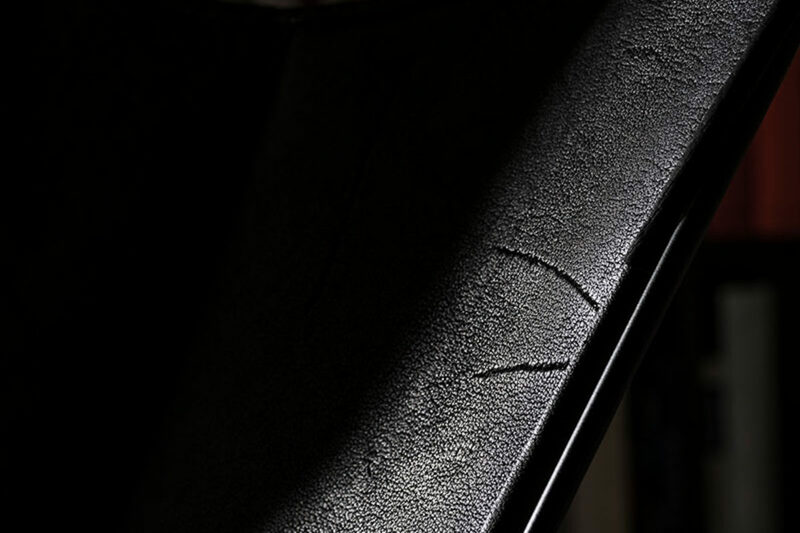 This means scarred areas of the leather are not sorted out, but are specifically chosen. So the valuable organic buffalo leather from the organic buffalo farm Bobalis is fully used and nothing is thrown away, which results in high sustainability. Something we are proud of. 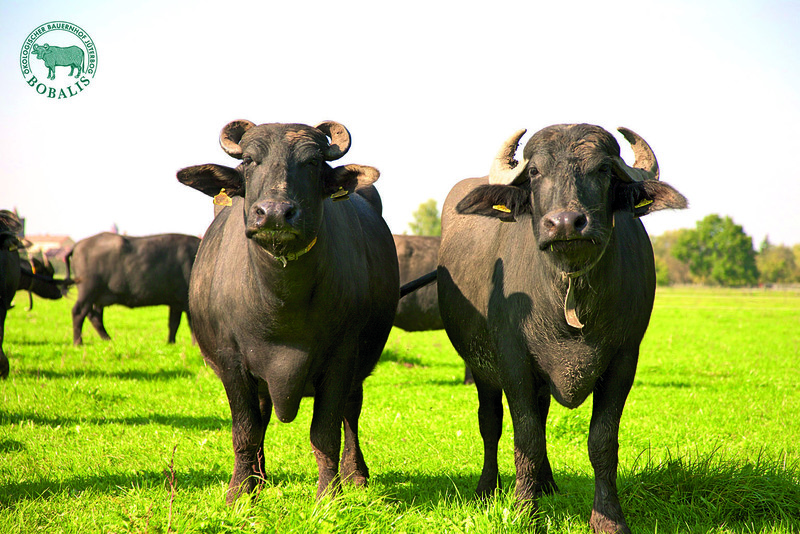 Together with the organic buffalo breeder Henri Henrion, the general manager at Bobalis, we complete the value chain according to the Cradle to Cradle principle. Our organic buffalo leather is fully compostable at the end of the product life cycle because we do not use unnecessary chemical substances and the leather is purely vegetable tanned. We have recently been selling the Pure Wild through our Manufakturplus webshop and selected retailers. 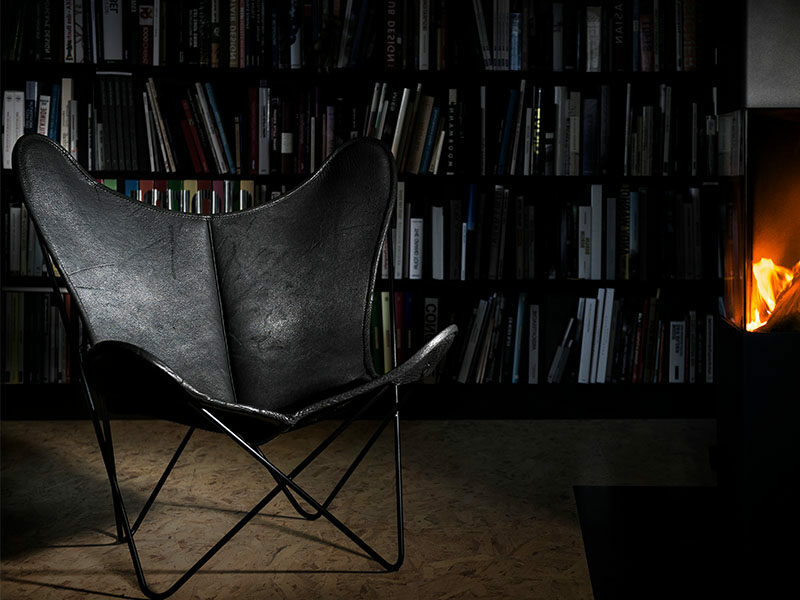 Of course the organic principle of ethical husbandry excludes mass production of this leather. For this reason the leather is only available in a limited amount. Therefore, every cover made of real organic buffalo leather “Pure Wild“ is not only unique but also a precious rarity as a rare gift of nature. That is why every chair carries the original organic buffalo label and every customer receives the corresponding organic buffalo certificate from Manufakturplus. With the Pure Wild Manufakturplus offers you a completely new and untamed version of the Hardoy which carries the leather's full thickness of up to 7 mm. 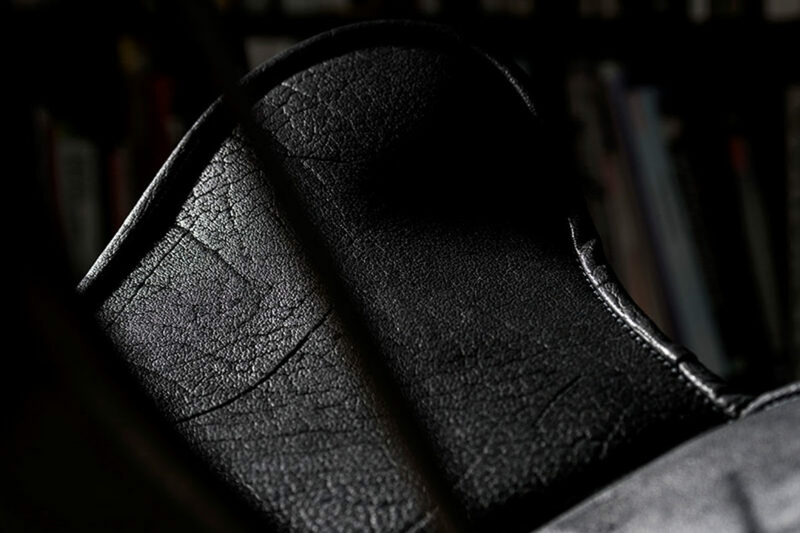 Our organic buffalo leather is unique in regards of its distinctive look and feel of the surface: Rough, noticeable grain and visible pores give it a very original look. At the same time the durable material offers pleasantly soft seating comfort. 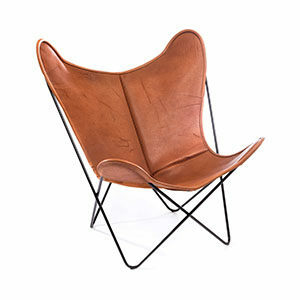 The overall effect is a very lovely contrast between the delicate Butterfly frame and the leather's rustic look. 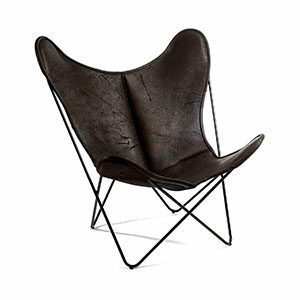 Whether in warm cognac, dark brown or black – this Hardoy Butterfly Chair stands for the perfect combination of an original appearance, convincing durability and real sustainability. All of our Pure Wild products are made of original organic buffalo leather by MANUFAKTURPLUS and therefore they are not only unique but also a rare gift of nature. The animals' natural and sustainable way of living excludes mass production of this leather type. Of course every Pure Wild receives the organic buffalo leather label and you will get the corresponding organic buffalo certificate. Since 2007 MANUFAKTURPLUS has been selling premium design products “Made in Germany“. 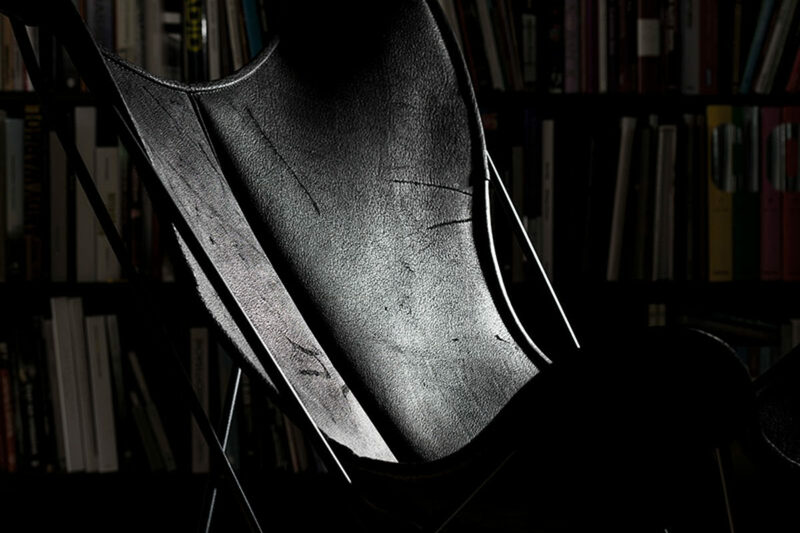 Together with our broad network of breeders and master craftsmen more than 15 employees have been working on new materials and processing techniques for durable and sustainable pieces of furniture for over 10 years.